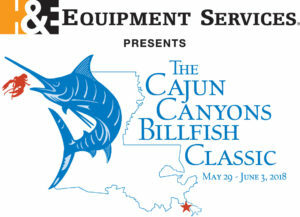 The Billfish Foundation is a global leader in illustrating the social, economic, and environmental benefits of recreational fishing and fishing tourism activities. By uncovering the economic impact of recreational fishing and translating it into informational products that are useful for policy makers, these reports provide a link between healthy oceans and prosperous economies. To date The Billfish Foundation has completed groundbreaking studies in the Los Cabos Region of Mexico and in the nations of Costa Rica and Panama. These studies demonstrate the ability of catch and release billfishing to provide thousands of jobs, support tax bases, and provide a foundation for broader conservation. The Cabo report illustrated that fishing tourism, much of it targeting striped marlin, provides the region with an economic impact of more than US$1.125 billion per year. In Costa Rica, sportfishing and fishing tourism account for more than US$400 million annually. 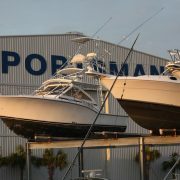 In adjacent Panama, sportfishing tourism generates more than US$170 million annually. These figures detail the ways in which fishing tourism revenues support communities, industries, and economies. From hotels, resorts, restaurants, and marinas, the entire municipal infrastructure, including the tax bases that fund health and education services, benefit from healthy oceans. Tourism is Costa Rica’s top industry and new research shows North Americans traveling there in 2008 to fish generated $599 million – or about two percent of Costa Rica’s gross domestic product. The study, conducted in 2009 by The Billfish Foundation, Southwick Associates and the University of Costa Rica, revealed 283,790 anglers visited Costa Rica and their economic impact even overshadowed commercial fishing. It was estimated 22 percent of those tourists visited the country for the exclusive purpose of fishing. From that $599 million the study also showed sportfishing generated almost $78 million in tax revenues for Costa Rica and 63,000 jobs. In comparison, the effect of commercial fishing for the same species sought by anglers generated approximately $528 million to Costa Rica’s gross domestic product. Commercial fishing contributed $68.6 million in tax revenue and created 57,000 jobs. The comprehensive study included interviewing tourists at Costa Rica’s major airports to estimate the percentage who fished while visiting. The research focused on the expenditures and economic impacts of marlin, sailfish, yellowfin tuna, wahoo and dorado; species that are the most frequent targets of commercial fisherman and recreational anglers. It was estimated the 283,790 North Americans visiting Costa Rica in 2008 spent a total of $467 million. The survey revealed $329 million was spent on travel including lodging ($119 million), restaurants ($15.6 million), flights and fishing guides ($88 million) and land transportation ($6 million). These dollars then change hands multiple times in Costa Rica, creating significant benefits for the nation’s gross domestic product. In addition, visitors spent approximately $105 million outside of Costa Rica prior to arrival for airfare or other travel expenses, though these dollars are not included in the economic analyses. About 3,700 of those visiting Costa Rica have their own boats in the country, whether permanently or temporarily, and they spent approximately $138 million for items such as fuel ($45.6 million), maintenance and repairs ($25 million), furniture and accessories for their vessels ($48 million), staff and crews ($2.8 million), marina fees ($16.6 million), and taxes and insurance ($1.8 million). Additional work conducted in the U.S. by Southwick Associates, Inc. estimated 7.5 million Americans fished outside of their country in 2009 with 3.6 percent of them traveling to Costa Rica. Among anglers vacationing in Costa Rica, 40 percent said they would not have visited the country if they could not fish. Those anglers, who represent 116,000 visitors per year and about $135 million in tourism income for Costa Rica, said the main factor in determining their satisfaction is “quality of fishing” followed by “relative peace and quiet,” and “fishing services, boat and crew quality.” The majority of anglers reported they visited Costa Rica to catch billfish including sailfish, marlin along with dorado. Inshore species such as snook and tarpon were less frequent targets. In 2007 and 2008, The Billfish Foundation funded a comprehensive study to estimate the dollars, jobs, and tax revenues created by anglers in the Los Cabos region. A series of surveys were conducted of visitors, both anglers and non-anglers, to gain an understanding of the number of people who fish in Los Cabos and collars spent. 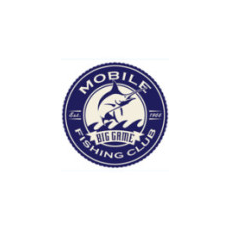 Additional surveys were conducted of various business sectors to develop the information needed to construct a model of the region’s sportfishing economy. Dozens of interviews were conducted with business, sportfishing, political and tourism leaders to learn about the nuances of the regional economy and how it provides for visitors. The best way to couch these impacts is to consider that, if everybody who fished in Los Cabos did not visit in 2007, the regional economy would have been $1.125 billion smaller, with 24.426 fewer jobs, and government coffers would have been poorer by $245.5 million. Visitors who fish in Los Cabos are estimated to provide 24.1% of the total dollars injected into the Los Cabos economy by tourism, including cruise ship visitors. A job is supported for every $18,156 in retail sales. Every dollar spent by anglers generated $1.78 in economic activity in the Los Cabos region. Every visiting angler generates $721.99 in local and federal tax revenues. Sportfishing has been a major factor in attracting tourists to Panama providing a valuable fishing-based economic lift to the country. 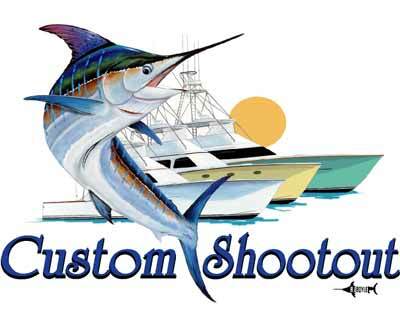 In 2011 (most recent data), 86,250 visitors fished in Panama. Those anglers and the rest of their travel companions spent $97 million on charter boats, fuel, food, lodging, and other related expenses. The number of anglers visiting Panama has doubled from 2001 to 2011 and the surge could only be the beginning, provided that fishing remains great and consumers are made aware of it. For every U.S. angler that has visited the country, eight more are interested in Panama as a fishing destination. If each interested angler was enticed into visiting, it could translate into an additional $776 million for the Panamanian economy. The survey asked U.S. anglers why they choose to fish in some countries but not others. 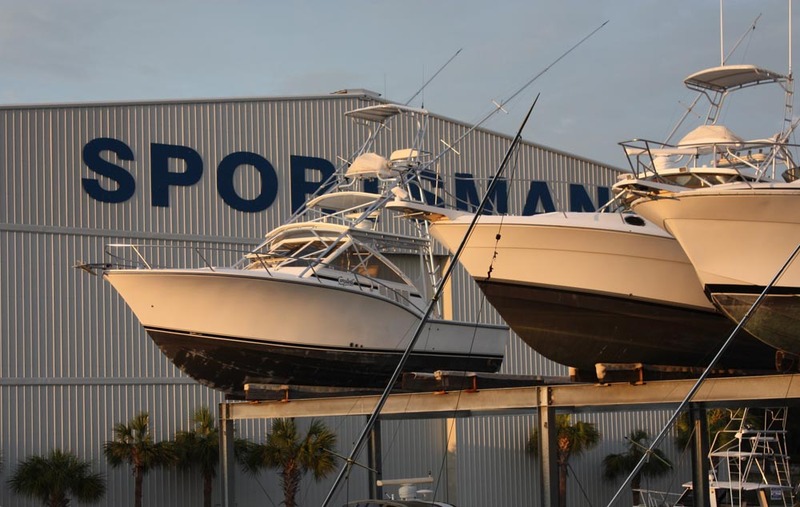 Beyond the excellent fishing, Panama scored high among surveyed anglers regarding the reasonable cost of travel, safety, and availability of quality charter boats. In fact, 87 percent of the anglers surveyed were “satisfied” or “very satisfied” with their trips. This bodes extremely well for Panama tourism because 68.5 percent of people choose a vacation destination based on friends or family recommendations. Because people leaving Panama have such a high rate of satisfaction, word-of-mouth between friends and family will drive even more people to the country. • $97 million new dollars via spending by visiting anglers. • $170.4 million in total retail and business-to-business sales within Panama. • an increase in Gross Domestic Product of US $48.4 million. Click here to read the complete, Technical Report. In many places, recreational fishing is becoming more popular and more influential on local economies. With a growing economy and tremendous opportunity for a vibrant recreational fishery, Colombia is one such location. Building off work completed in the Northern Caribbean, recreational billfish anglers were surveyed in several locations on the Caribbean coast of Colombia, in order to begin to understand the potential for recreational fisheries here. Anglers were asked about their fishing attitudes and behaviors, as well as about their annual expenditures. Survey participants spent an average of $2,534 and indicated that they target a wide variety of species, primarily for the sport of catching fish, rather than the harvest. While there is much room for further education, many behaviors such as a preference for catch and release lend themselves to improved conservation practices. Overall, there are many indicators that Colombia is a prime location for further study and encouragement of a sustainable recreational fishery.